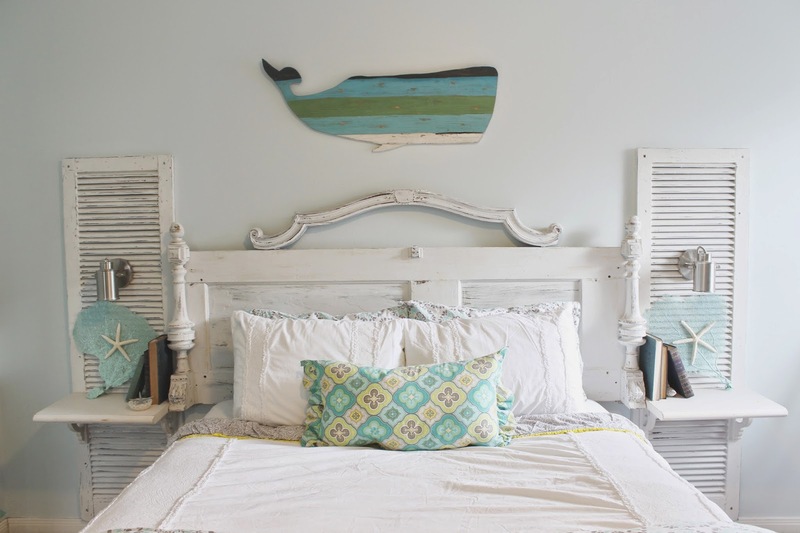 The ragged wren : Antique Door Headboard & Shutter Nightstands "How-To"
Antique Door Headboard & Shutter Nightstands "How-To"
Well, this last month has been filled with all sorts of how-to's, this time of year we are all looking for inspiration, and we all want to know how to do it ourselves. 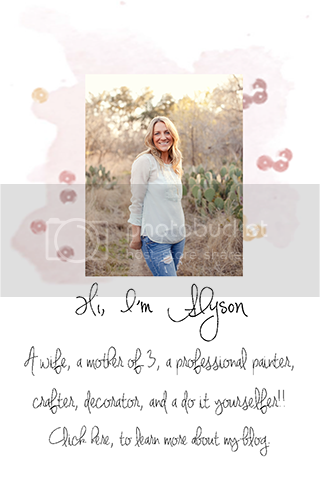 Also be sure to check out my guest feature today on Remodelaholic!! How exciting is that?!? Where I show how-to make my Reclaimed Wood Counters from my kitchen. Stop by and take a look. 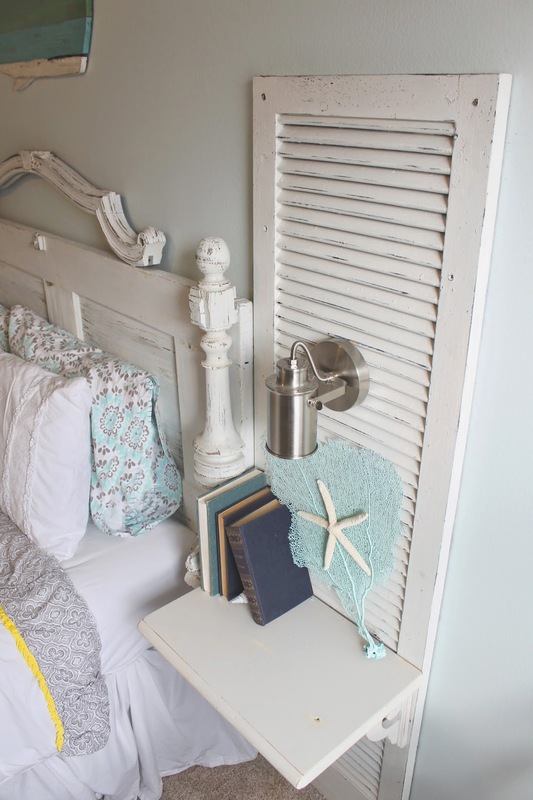 Last week I showed you my daughters Shabby-Beach Bedroom, that I finally finished. 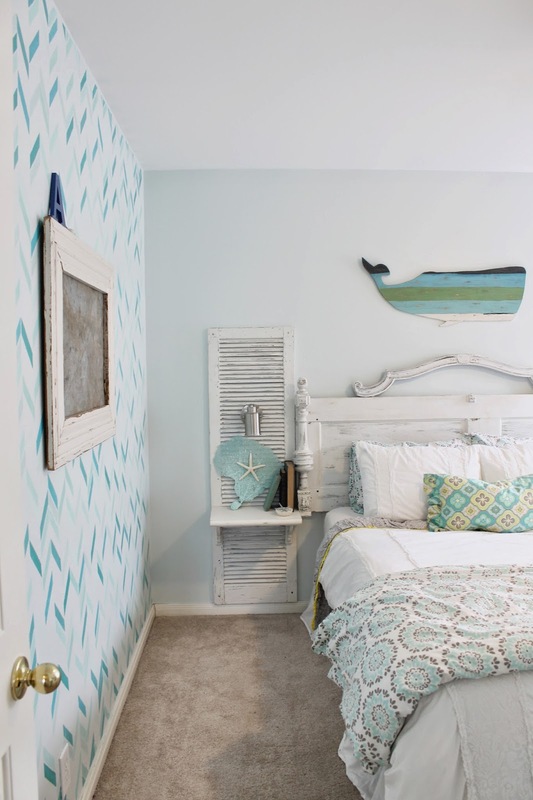 Thursday I showed you the how-to Herringbone Stencil wall. 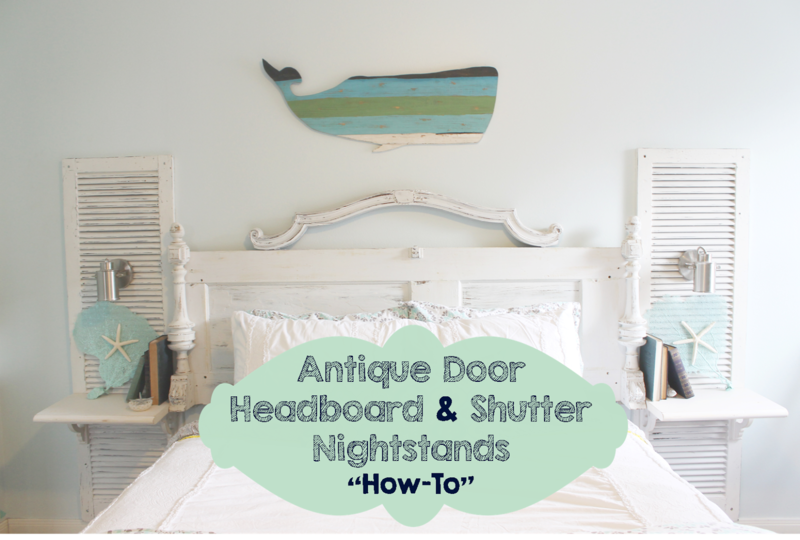 So today, to finish showing you how her room came together, I'm going to show you how-to make the antique door headboard & shutter nightstands. This was one of those projects I had in my head for awhile, and just found the pieces along the way. I started with the headboard itself, and just recently added the nightstands to it. At one of my favorite antique stores in town, Iron Side Market, I found a pile of old wood parts. I grabbed what I think were two old table legs, and what appeared to be the top of an old headboard. I also grabbed this dilapidated door. It had at least 3 colors of paint on it, and seemed to be a pantry door or an old closet door, since it was so skinny. What I loved about this door was the old lock, I left it just as it was. I started by scraping off, and sanding down the peeling paint. I could have stripped the whole thing, but I wanted the layers and age. Beware with old doors like these, it is most certainly lead paint! If your concerned, you can buy a lead paint tester at most paint stores for a couple bucks. I used 2 small "L" brackets to attach the arched piece to the top of the door. The leg pieces I attached with wood screws from the back, and a small "L" bracket on the bottom, just to keep it in place. Obviously this isn't very attractive at this point!!! Which is probably why my husband thought I was a bit crazy. Here it is all painted up, I had to do that right away to get rid of the pukey look. Next I used a medium grit sandpaper, and roughed it up. I went down to the cream paint in some areas, and down to the wood in others. None of these pieces are the same color underneath, but that's what makes it look old and put together. So, terrible picture....I know, but this is how it stayed for quite some time. Then I finally got some pieces to make the nightstands. Some friends were gutting an old house, and had two sets of shutters they let me have. They were painted black at one time, but were chipping and were very dirty. I took a wire brush and got off the loose bits, and scrubbed it down with some soap and steel wool. Again I didn't want to strip them, and take away the oldness. 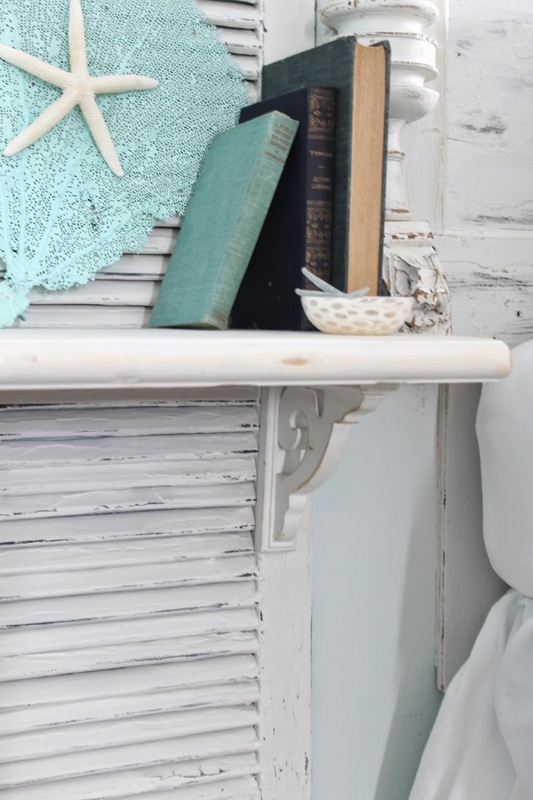 For the shelf part of the nightstand, an old fireplace mantel was cut into pieces. Both shelves were cut the exact width of the shutter. The next step was to paint the shutters and shelves. To hold up the shelves, I used decorative wood brackets purchased from Lowe's for about $4 a piece. 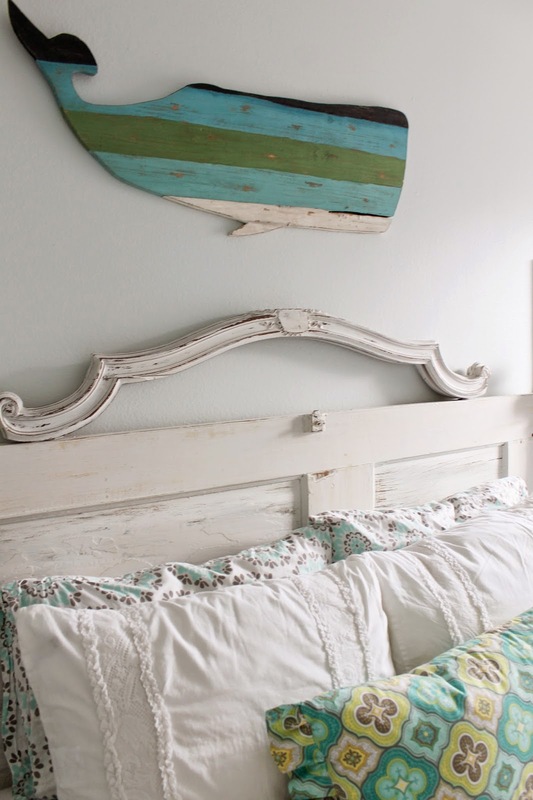 The brackets were painted with the same color as the rest of the headboard. After letting the pieces dry, I took a palm sander to them. Taking paint off some of the edges, and running it along the rungs of the shutter. I let the black show through on these shutters. Like the rest of the pieces, I wanted them to look different, but cohesive with the white paint. All the brackets were sanded down as well. The next thing to do was to put it all together. To get an idea of where the light needed to be hung, and where the shelf should hit, we dry fit the shutter. 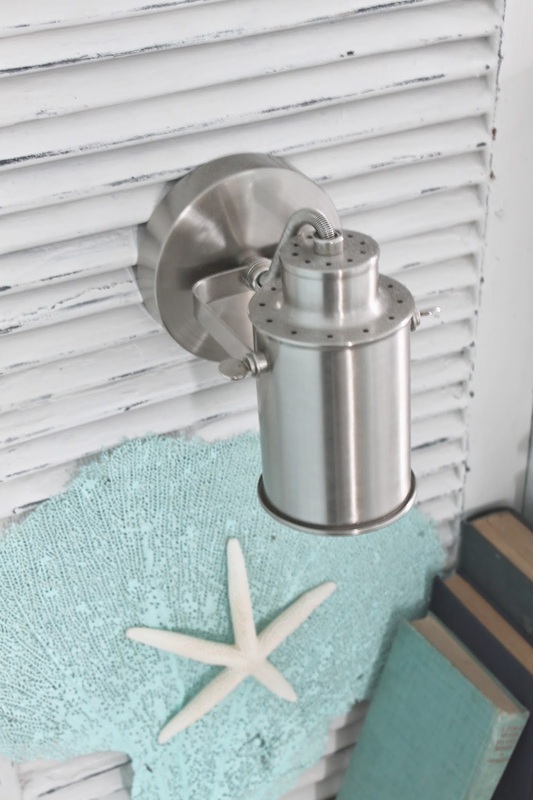 Here is the sconce we used, this one is from Target (they no longer carry it). They were about $25 each. 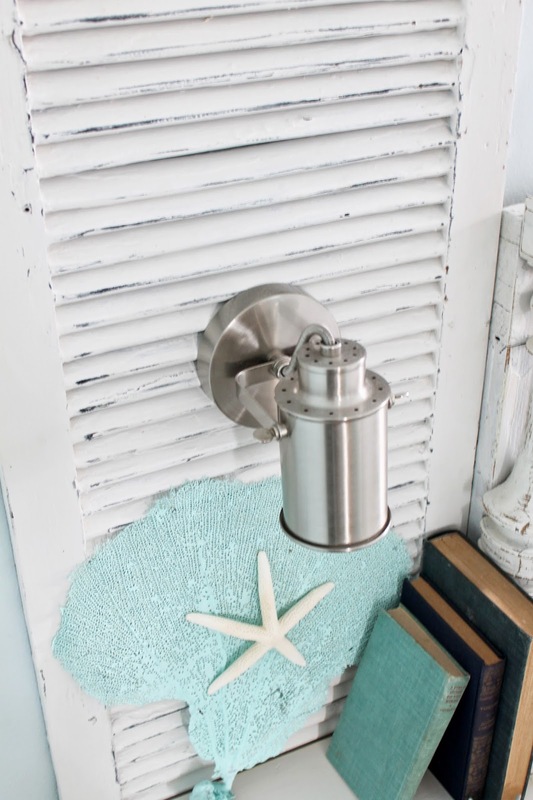 Any sort of sconce would work, though we were going for sort of a beachy vibe with this one. We marked where each light would hang....low enough to have the light, but not to high so the light was in your eyes. We needed to drill through the shutter to attach the light to the wall, so exact measurements on both were needed. To hide the cord, it needs to be fit between the rungs of the shutter. This sconce came with a twist switch, and a plug at the end. Unfortunately the cord wasn't long enough to reach where we needed it go, and the switch wasn't far enough down to mount under the bed. My husband being as handy as he is, cut the wire, and spliced in new wire. If your not ready to mess with the electrical just yet, an extension cord would work too. A large staple helped hold the light in place, while he messed with the wires. So the wire would fall behind the headboard and smoothly fall under the shutter, he routed out a small portion on the back of the shutter. A chisel could help take this part out too, you just need it notched out enough to fit the cord through. Next we drilled straight through the shutter, and into the wall, and placed an anchor into the wall. This is why it is important not to mount the shutter to the wall quite yet, until all the parts are marked, and mounted. The shelves were the next piece to be mounted to the shutter. Earlier when dry fitting the shutter, we determined the shelf would be best, lined up with the bottom of the headboard. The brackets already have the mounts install on the backs, and some wood glue and screws from the underneath held the shelf to the brackets. Once dry, we just had to attached two screws to each shutter, to hang the finished pieces. There really isn't alot of weight put on these small shelves, once these were mounted they were very study. To mount the shutters to the wall (lights and shelves already attached), we used these heavy duty, self drilling dry wall anchors. We put two on the top, and two on the bottom of each shutter. 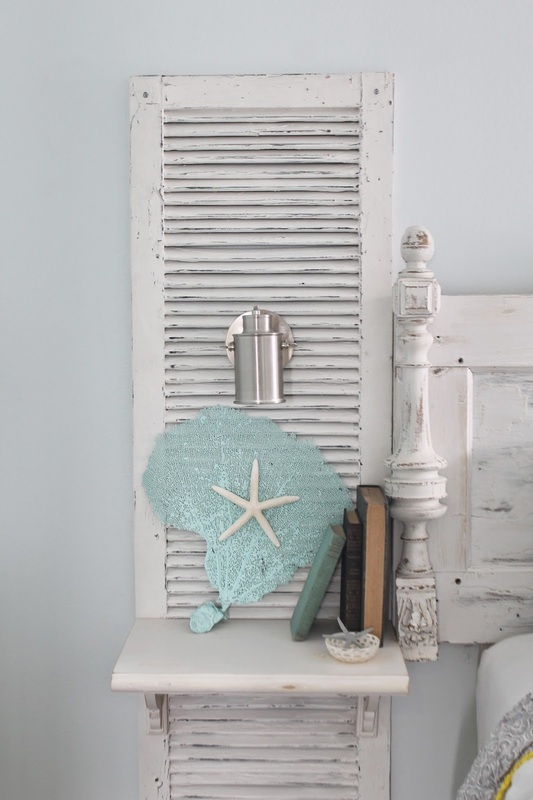 Start with drilling straight through the shutter into the wall, then you'll have you guide for installing the anchors. Read the directions on these first, they were a bit tricky, with a toggle bar to hold it in place. The last thing to do, was staple the switch just under the headboard, where she can reach it easily. Super simple, just some dry fitting and marking so both sides are even. 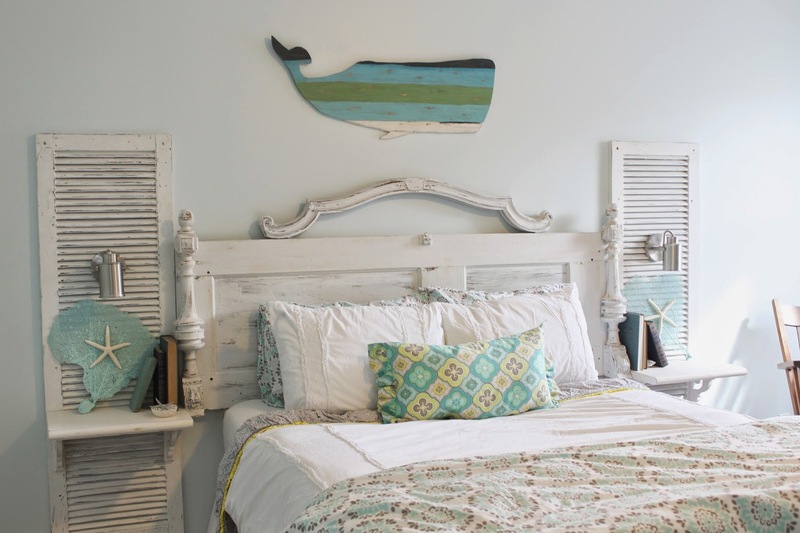 The whole project, headboard and shutter nightstands cost about $100. Not bad for salvaged pieces!! 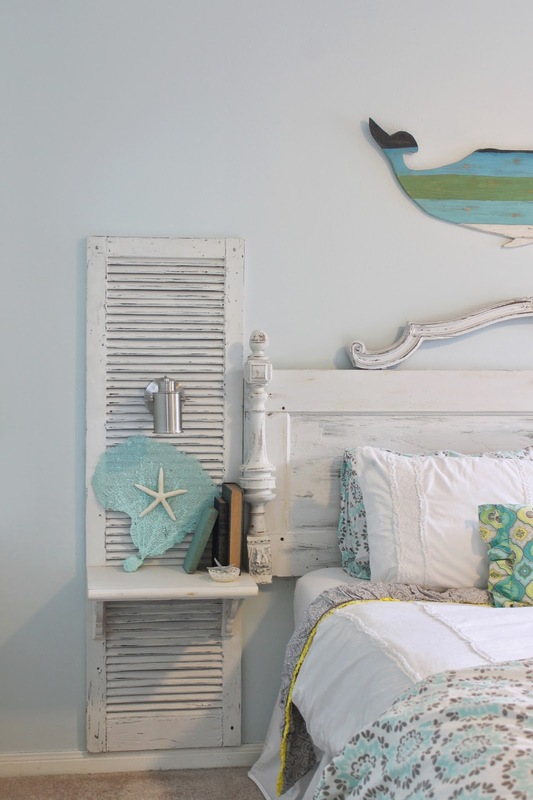 This Shabby-Beach Bedroom, was featured on Work It Wednesday!! Hi there - beautiful and so unique. Thanks for sharing. I wanted to ask about the whale, though. I did not see anything on that. Did you make him and if so, can you share? 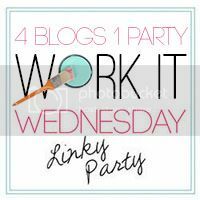 New Additions & A Giveaway!